Reduced price! € 12.00 tax incl. Genetics for the famous Power Plant were captured by a group of Dutch growers on a trip to South Africa, back in the 90’s. They managed to breed a strain that was soon a popular choice in coffee shops of the Netherlands, most likely due to the soaring and intense Sativa high. 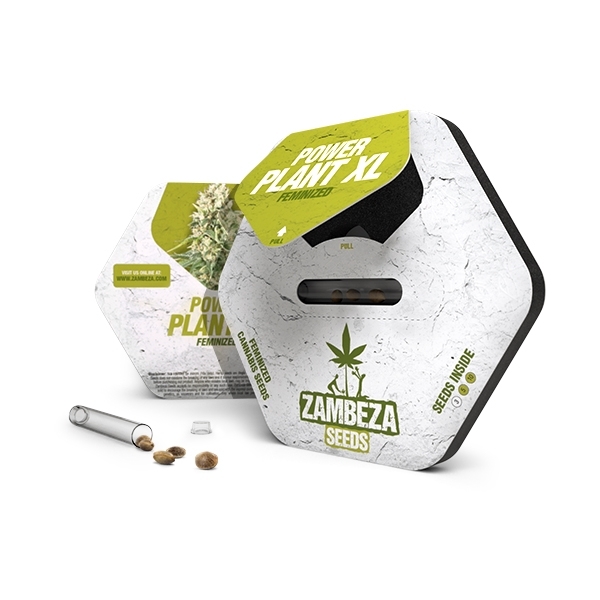 Zambeza Seeds thought that the productiveness of Power Plant should never be forgotten and created an updated version, to bring the legend back to live. Power Plant XL yields up to 600-750g/m² in a flowering period of approximately 55 days! The efficiency and productiveness of Power Plant XL fears no comparison with many recently bred cannabis strains. 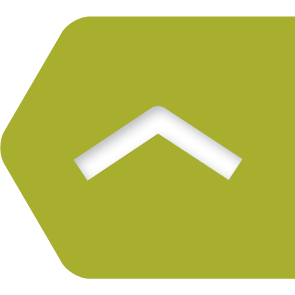 Indoor heights of 80-110cm make this sativa-dominant variety relatively easy to grow, but outdoor growers need to be aware of the power that is being released under the sun. Outdoor plants can easily reach heights of 150-200cm, and yields of 500-600g per plant. The taste of Power Plant XL can be described as a delightful blend of sweet and sour flavours, with subtle hints of pine tree in the background. Smokers who appreciate a very strong and uplifting Sativa high will be more than satisfied with the effects. One will experience feelings of euphoria that are definitely intense and uplifting, typical for a South African Sativa like this. The up-high can also evolve into being more relaxed, especially when larger quantities are being consumed. Some people suspect Power Plant to be grown in large commercial operations around the world. It doesn’t really matter if these assumptions are the truth or myths, but Zambeza’s breeders are very proud to bring this highly productive legend back to live. The updated version of it, Power Plant XL, is the most efficient Dutch "bud factory" money can buy. 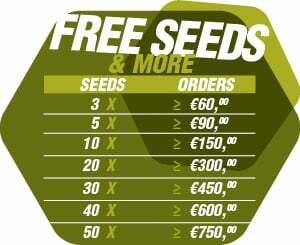 Comment : 10 seeds 10 little plants in 3 days.... By growing 1 is the biggest plant I ever seen, 4 big plants, 3 standard e 2 little bit small (1 it's because is close to the "giant"). I'm waiting for the harvest to judje the yeld but it look great! At last... Beware the molds! Comment : 3 to 3 seeds sprouted the fourth day after planting them directly in soil.The plants after 2 weeks are growing fast and healthy. Comment : Sehr tolle Pflanze. Sehr einfach zu handhaben und pflegeleicht. Ertrag gut.